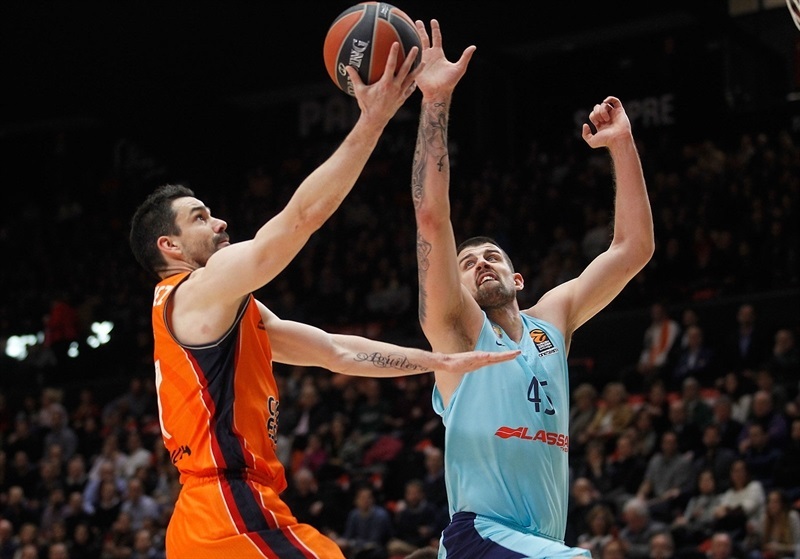 Valencia Basket registered its third win in four games by downing FC Barcelona Lassa 81-76 at home on Tuesday. 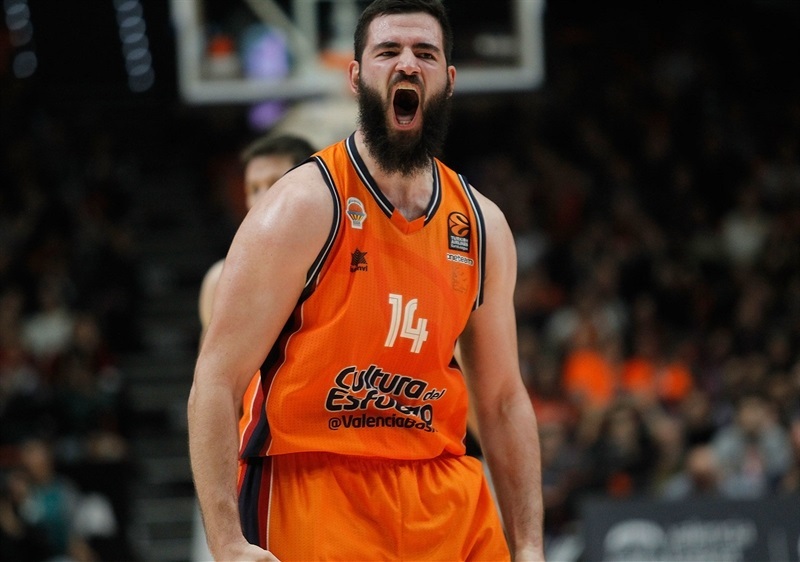 Both teams now have a 6-12 record in the Turkish Airlines EuroLeague standings. 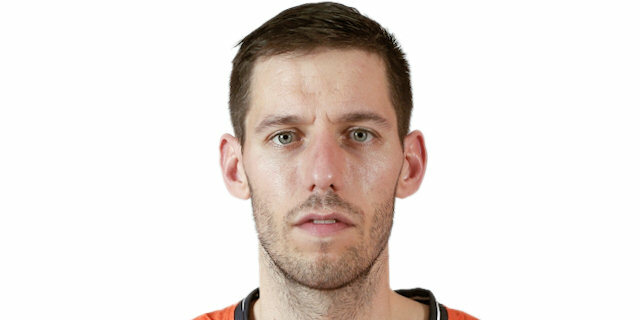 Bojan Dubljevic led the winners with 19 points and 7 rebounds, Rafa Martinez added 13 points and Aaron Doornekamp had 10 for Valencia, which was without leading scorer Erick Green. 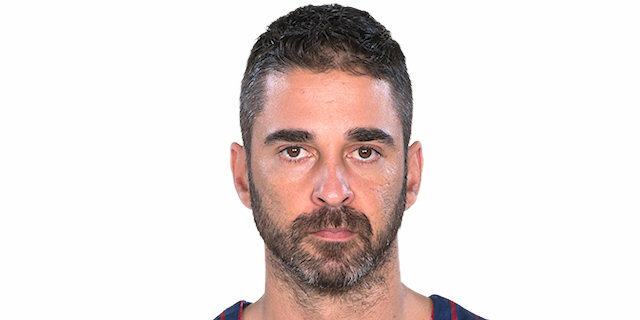 Pierre Oriola paced Barcelona with 15 points against his former team, Juan Carlos Navarro and Thomas Heurtel each scored 14 and Rakim Sanders had 11 for the visitors. Heurtel added 10 assists for a double-double. Adam Hanga got Barcelona going with a fast break layup and Ante Tomic soon added a layup for a 2-4 lead. Martinez followed a triple with a step-back jumper in a 7-0 run that Dubljevic capped with a layup. Doornekamp soon added a three-pointer and free throws for a 14-6 Valencia lead. 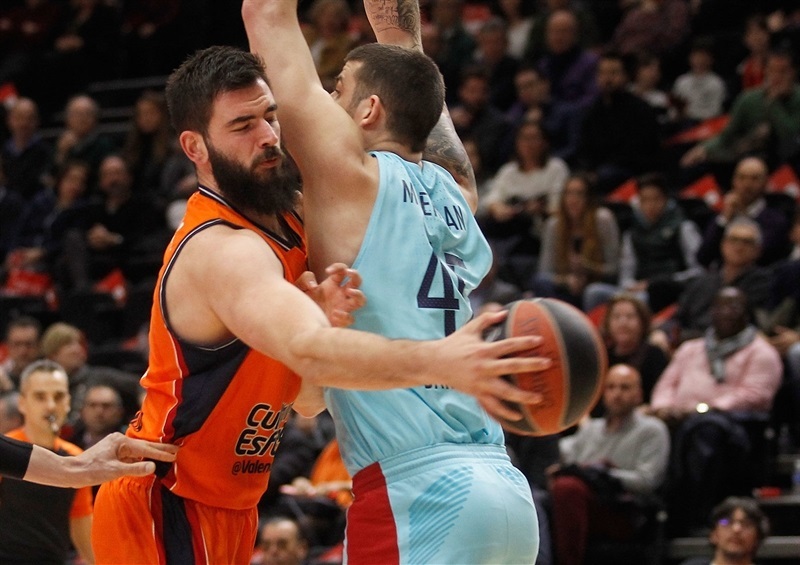 Navarro had 5 points in a 0-6 Barcelona run, but Will Thomas scored down low and an unstoppable Pleiss added a put-back layup, free throws and a tip-in to give the hosts a 22-14 lead after 10 minutes. 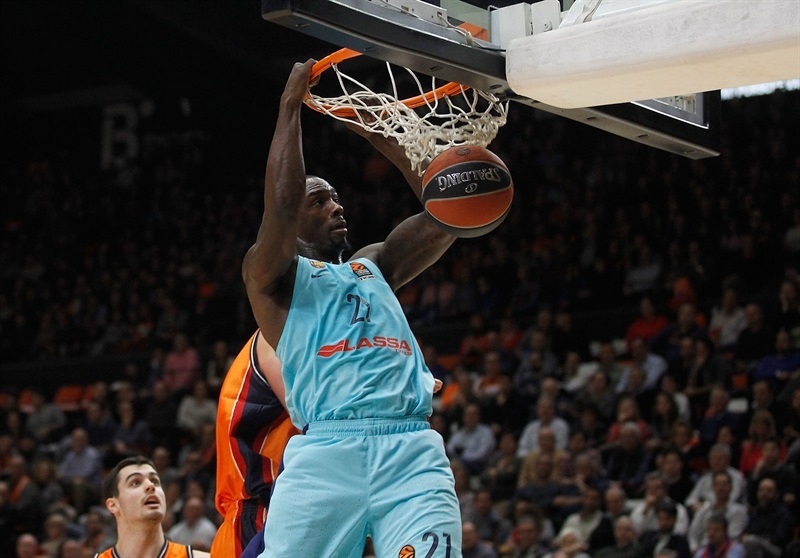 Oriola and Sanders scored around the basket early in the second quarter and a three-pointer by Navarro got Barcelona within 22-21. Damjan Rudez answered from downtown, but Oriola fed Sanders for a dunk and scored again to tie the game at 25-25. 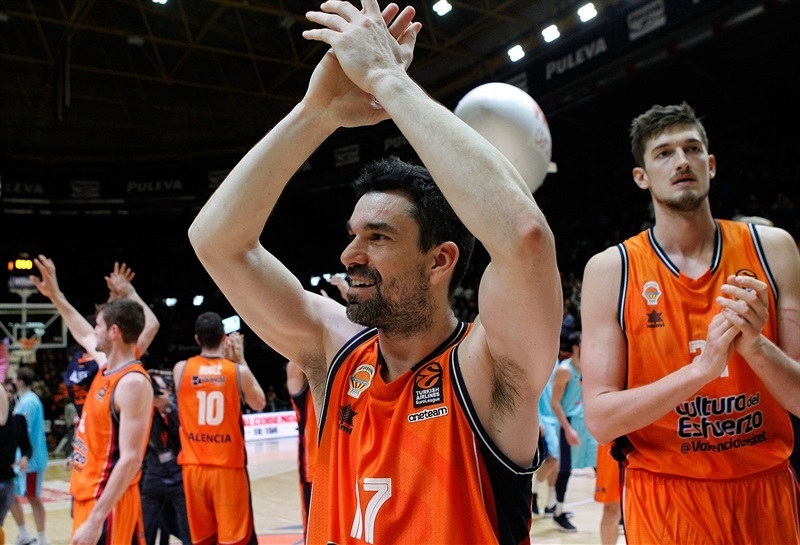 Rudez insisted from beyond the arc and Martinez scored in transition to give Valencia fresh air at 32-28. Heurtel downed a three-pointer, but Doornekamp and Abalde each nailed one from downtown in a 9-0 run that made it a double-digit game, 41-31. Heurtel and Sasha Vezenkov brought Barcelona within 43-36 at halftime. 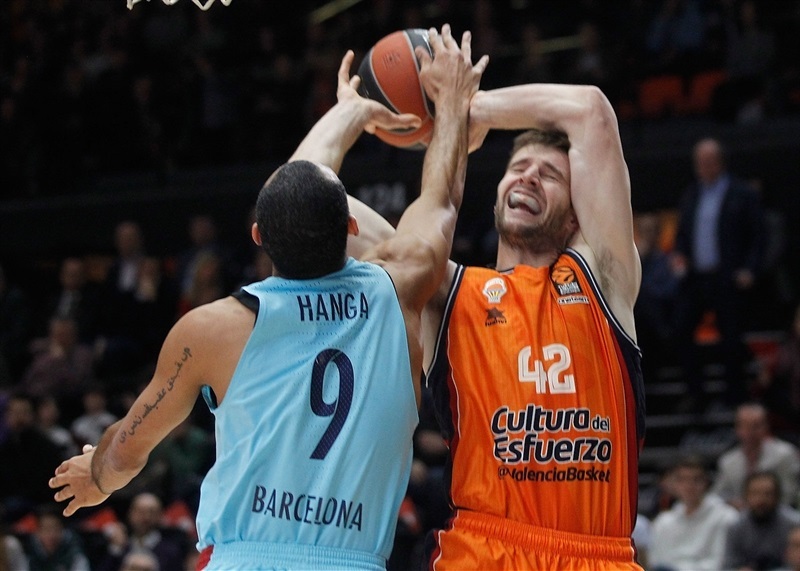 Dubljevic sank consecutive jump hooks after the break, but Navarro, Oriola and Pau Ribas got Barcelona within 47-45. Martinez followed a triple with a fast break layup and Thomas scored around the basket, but Oriola kept Barcelona as close as 54-49. 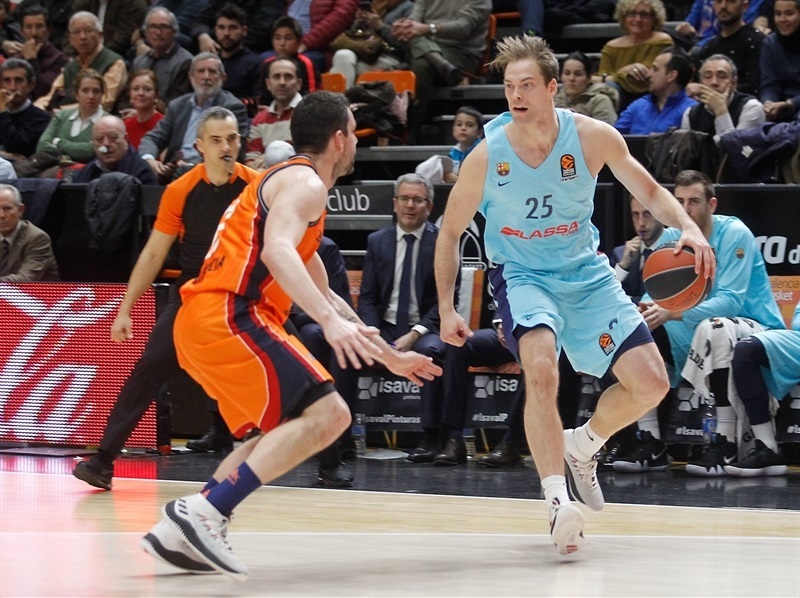 Oriola and Sanders kept pushing Barcelona, but three-pointers by Van Rossom and San Emeterio kept Valencia ahead, 62-59, after 30 minutes. A jumper by Abalde, free throws by San Emeterio and a driving layup by Van Rosson made it a 7-point game with under six minutes left. 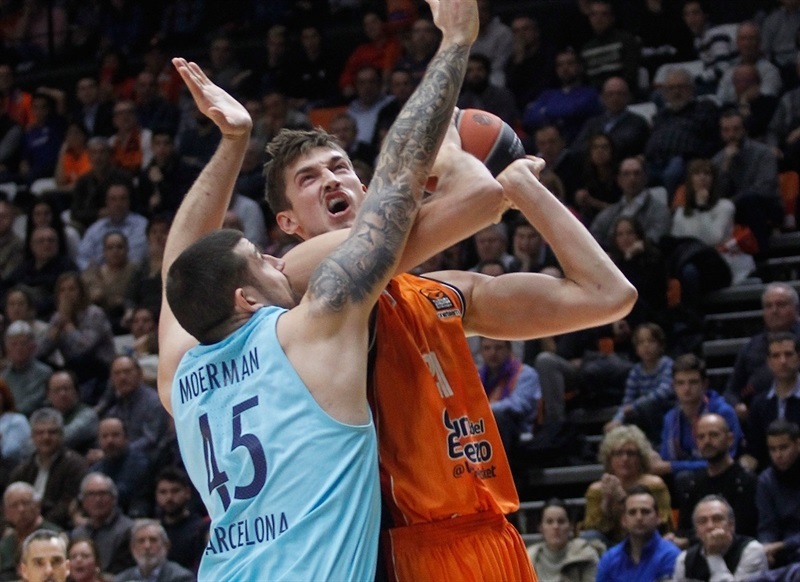 Dubljevic sank a three-pointer, but Heurtel and Navarro gave Barcelona hope at 71-66 with three minutes remaining. Dubljevic hit foul shots and added a jump hook, but Navarro and Sanders each struck from downtown to make it 75-72 with 51.6 seconds to go. 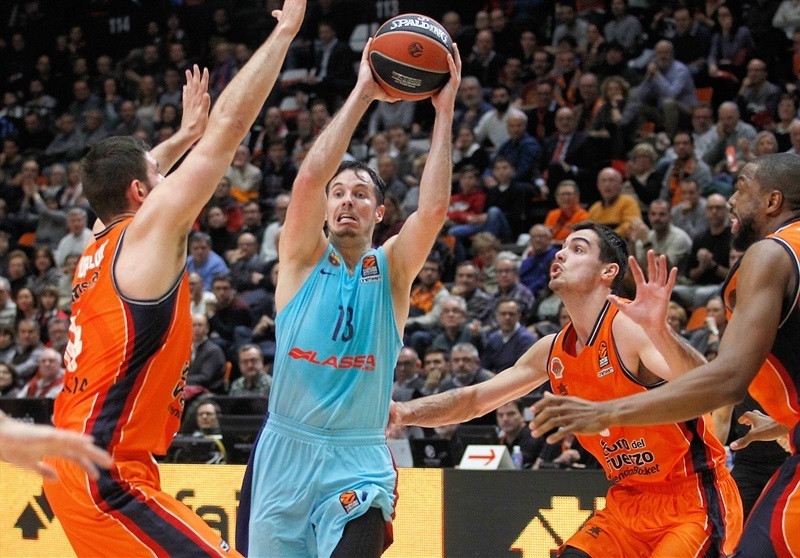 Dubljevic, San Emeterio and Doornekamp made free throws down the stretch to seal the outcome. 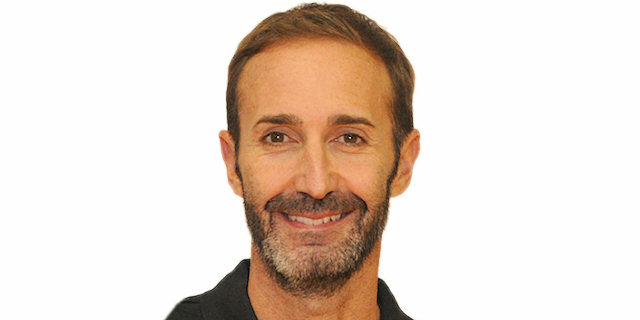 "Barcelona has a great roster, but there was a moment in which we focused on low post offense when they were playing with three small players. When we had open three-pointers, we hit them; Aaron Doornekamp in the first half, Fernando San Emeterio, an important one in the second half. I believe that the key to the game was that we played with good balance and a great mentality. We had a lot of games in which we had the lead early in the fourth quarter and were not able to keep it because of being fragile. 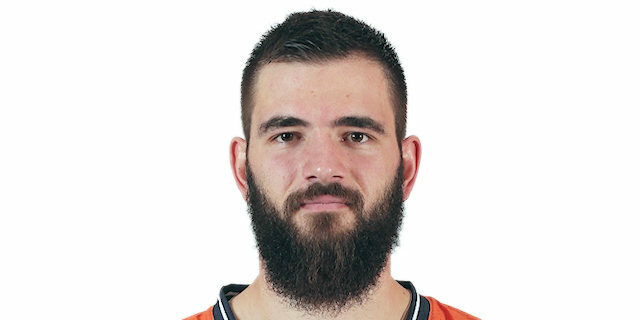 We were mentally tougher than Barcelona in the fourth quarter and for us, in order to do that, Bojan Dubljevic was crucial. He is always a reference for us in every balance game and he dominated tonight. We were better than them in the fourth quarter when we were able to give him two or three balls in the low post. He scored them and that gave us a lot of confidence to keep our lead between 5 and 7 seven points. Our good mentality allowed us to get twice as many rebounds as a team that normally is physically better than us. We were without six injured players and even with that, we are always competing until the end. We hit all of our 21 free throw attempts and that means you can compete the way you want to in close games. We know each other a little bit better and have started to be more solid." "First of all, the first 10 minutes were, for me, the key to this game, because in the first six, seven minutes we didn't pressure Van Rossom like we needed and when we got over this moment, we tied the game, but the last two and a half minutes of the first quarter were terrible for us. They got an 8-point lead and for me, it was key. After that, we played a little bit better, but without controlling the defensive rebounds - when they missed, they got the rebounds and had two or three more opportunities. Bojan Dubljevic hit a critical three-point shot, too. 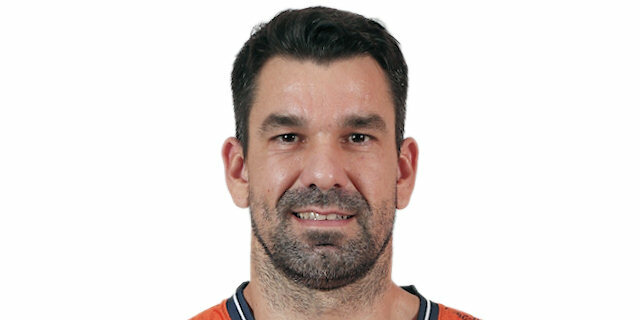 Obviously, Ante Tomic's technical foul is very hard to understand; when we only have two centers, it is very important to avoid this kind of technical foul. We tied the game in the fourth quarter, but before that, a lot happened which can affect both teams' confidence. It is not the same as a game tied in which you kept control, which makes your opponent doubt, that not doing it from the beginning. The score is not the only topic that impacts the game, but what happened during the game, too. We have a game on Thursday; we play at home and must win. We have to forget about it, correct mistakes and move on. We have to work hard to win on Thursday. That is the only thing on my mind right now." "We worked hard for the win and had a lot of good moments in terms of game rhythm. We had a chance to break the game open in the fourth quarter, but it was not like that because these are high-level games, but we are very happy for the win." "This was a really important game for us, for our confidence. Thanks to everybody for their support. In two days we have another important game, so we need to be ready for that. It was a good win for our confidence, for everything. I think we are on the good road now." "We have to go game by game and see where it takes us. I hope all the injured players come back as soon as possible, but right now, it is what it is. Those players who are healthy are available to play and we can still win games. We have two injured players at the point guard position and when I am not on the court, everybody is helping bring the ball up and run plays, and I think we are doing well. 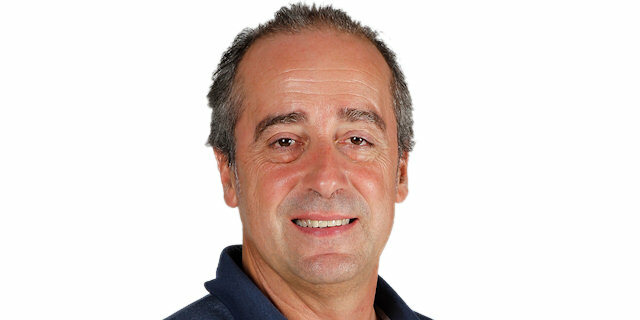 I hope I can give everything I can and I wish we can bring our injured players back as soon as possible." "Things were hard for us in the beginning of the game; they killed us under the boards. Dubljevic hurt us a lot. We had our opportunities during the game, but we couldn't win it. It was a good week for us to get back on track in the standings, but we didn't play our best game tonight. We need more consistency and to avoid making so many easy mistakes. We need to focus, especially on the road. We have to beat Bamberg no matter what. We have to get back to Barcelona and recover as much as possible."